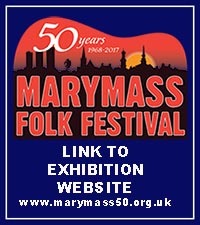 We saw a photo from NAFCO – The North Atlantic Fiddle Convention – where we see Irvine folk Club member Dawn playing fiddle along with young people from various countries. See if you can spot her smiling face in the photo. NAFCO was held in Derry this year. 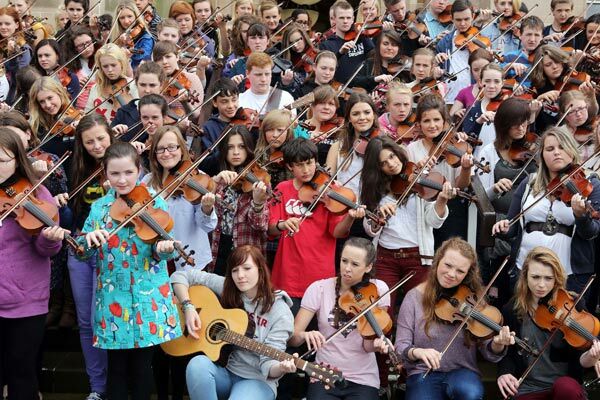 Irvine Folk Club member Dawn joins young fiddlers at the North Atlantic Fiddle Convention in Derry.